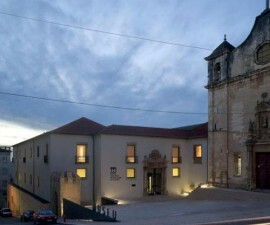 Portugal dos Pequenitos is one of Coimbra’s most unique attractions. It is particularly popular with young children but is none the less fascinating for visitors of all ages who are keen to catch a glimpse of this weird and wonderful world. 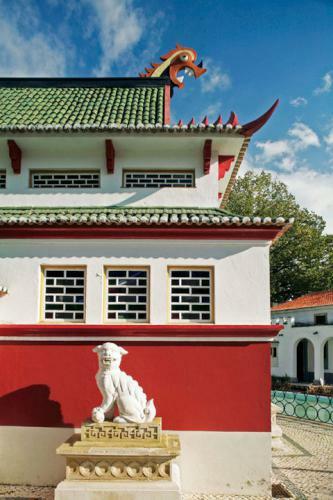 Portugal dos Pequenitos was inaugurated back in 1940 and was the work of architect Cassiano Branco. It was designed to pay homage to Portugal, the people of Portugal, and the country’s cultural, historical and pedagogical influence throughout the world. It is essentially a miniature world, an exhibition park full of scaled-down models of some of the most famous national and international monuments and buildings, all achieved with an awe-inspiring level of detail. 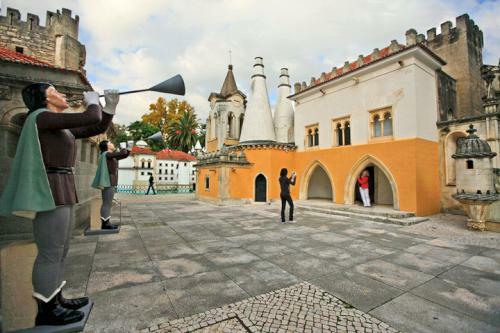 The park is divided into several sections: Portugal and its monuments, Portuguese language countries, Madeira and the Azores, and Coimbra. There are also several museums: a costume museum, a naval museum, and a furniture museum. A cinematic show and a small train to carry tired legs around the entire exhibition park complete the attractions. The park includes a gift shop and café, though it is short on covered areas for eating, so do bear this in mind if you are visiting on a particularly hot or rainy day. Anything the park may lack in modern amenities, however, is more than made up for by the fascinating experience that it delivers for young and old alike. Start your visit at the Portugal and its monuments section for some of the most famous sights in the country, all in miniature form, of course. There is a copy of the famous window from the Convento de Cristo in the historic city of Tomar, some exquisite masonry work, and several notable monuments from the capital, Lisbon. 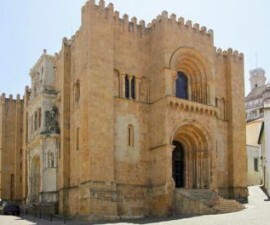 The Portuguese language countries section includes monuments and ethnographic representations from the countries and regions worldwide that have Portuguese as their language. These sections are surrounded by vegetation that is natural to these regions, helping to achieve a faithful and believable reproduction. 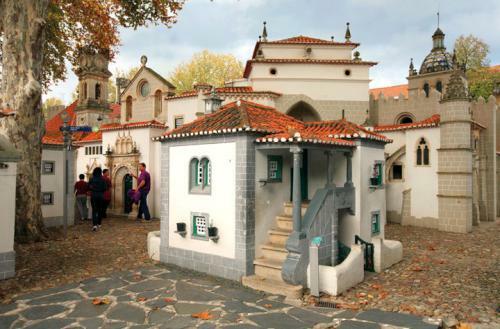 The Madeira and the Azores section can be found alongside the Portuguese language section, depicting the primary monuments of these two autonomous regions, surrounded by large lakes representing the waters of the Atlantic Ocean. 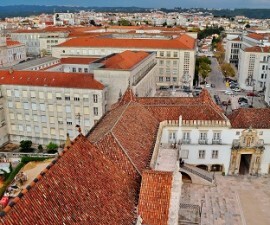 A section dedicated specifically to Coimbra depicts the winding streets of the older, upper section of town, dominated by the ancient university buildings of one of the country’s most important seats of learning. Finally, we come to a section portraying the regional houses of Portugal. This area is a particular favourite with children who love the fact that they are able to interact with the exhibits — opening doors, peering through windows and stepping between them along the narrow cobbled streets. A visit to Portugal dos Pequenitos wouldn’t be complete without stopping to admire the museum exhibits, again all in wonderful detailed miniature. Start with the costume museum, with its collection of more than 300 miniature pieces of clothing, illustrating how Portuguese costume has evolved through the centuries. The naval museum is next, with its miniature boats, ships and maritime equipment, and finally the furniture museum, with its stunning pint-sized pieces made from exotic woods and showing an incredible degree of craftsmanship.